So much for Spanish goodwill in the Brexit process. 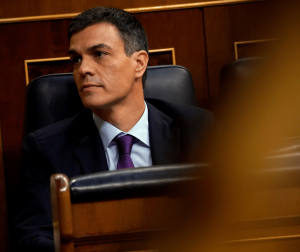 Barely a month ago the chief minister, Fabian Picardo, told parliament that he welcomed prime minister Pedro Sánchez’s “positive approach” to the discussions that left to one side the question of Gibraltar’s sovereignty. A beleaguered Theresa May even held up the (supposed) progress over Gibraltar as an example of how she was making headway in the Brexit negotiations. Less than 48 hours ago, however, reality bit. Ahead of a European Council meeting this coming Sunday that’s supposed to endorse the UK/EU draft Withdrawal Agreement, the Spanish government said it would not back the deal unless it’s clarified that separate discussions over the UK’s future relationship with the European Union will not apply to Gibraltar. Madrid objects to clause 184 of the draft agreement. This asks the EU and the UK to “use their best endeavours … to take the necessary steps to negotiate expeditiously the agreements governing their future relationship”. As the draft agreement states in article 3(b) that any reference to the term “United Kingdom” includes Gibraltar, the Spanish government is concerned that Gibraltar will de facto be included in any “future relationship” agreement. This would frustrate Spain’s reported intention to revive its joint sovereignty proposal once the UK has left the EU. To its credit Downing Street immediately backed the Rock. It emphasised that Gibraltar (as well as the other overseas territories and the Crown dependencies) would not be excluded from negotiations on the future relationship and said they would get a deal “that works for the whole UK family”. Nevertheless these developments don’t augur well for the Withdrawal Agreement. Not only do they put the UK on a collision course with Spain, they also risk prompting other EU member states, some of which consider the EU has been too lenient with the UK, to look more closely at the agreement’s terms before giving them the green light. Even if they do, it’s quite possible the UK itself will not. The proposed deal was savaged by MPs from all sides when the prime minister presented it to parliament and it provoked a rash of resignations including that of Brexit secretary Dominic Raab. It might not even be Theresa May who’s in the hot seat for the “meaningful vote” if and when it gets to the Commons. If 48 or more Conservative MPs submit letters of “no confidence” in her a vote of confidence will be triggered among all Tory MPs. If she wins, she’ll be safe for a year. But if she loses, there’ll be a leadership contest and Mrs May will be ineligible to stand. Heaven only knows what would happen with Brexit in that scenario. I have numerous misgivings about the Gibraltar Protocol that forms part of the draft Withdrawal Agreement. Why, for instance, does it oblige Gibraltar to put in place a tax system aimed at “preventing fraudulent activities”, not just in respect of tobacco, but alcohol and petrol too? On what basis are we given a deadline (30 June, 2020) for adopting certain international tobacco measures while Spain is allowed to maintain the status quo in relation to Gibraltar’s exclusion from EU civil aviation measures? And how come there so many clauses that smack of bilateralism through the back door? One example: “Spain and the United Kingdom in respect of Gibraltar shall establish the forms of cooperation necessary to achieve full transparency in tax matters ”. The way things are shaping up though it may all be academic. The Withdrawal Agreement and its as yet unpublished Memoranda of Understanding may never see the light of day, and we’ll be back to square one. The UK would then have to face the prospect of a no deal or put the whole Brexit question back to the people in a second referendum. Next Next post: With the Brexit dust settled, where does Gibraltar stand?